The Tobel M Rucksack from Vaude is a backpack with two faces. The Tobel M is two packs in one–we've transferred the Vaudesustainable approach directly to a product that can be used in multiples ways. 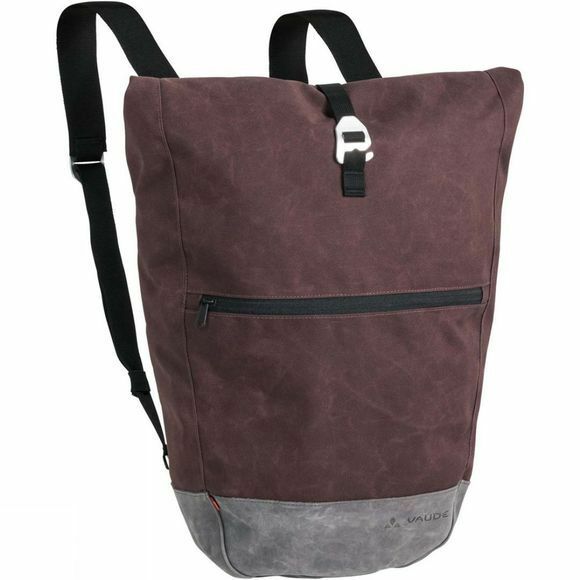 Firstly, in color and looks you've got two backpacks in the closet which saves both space and money. Secondly, the material of this pack comes largely from recycled PET bottles – which saves resources while benefiting the environment. On one side, the pack features a robust, waxed canvas with a lining of premium Terracareleather from the German leather manufacturer Heinen. The other side is made of a tough polyester fabric. Both sides are water repellent. 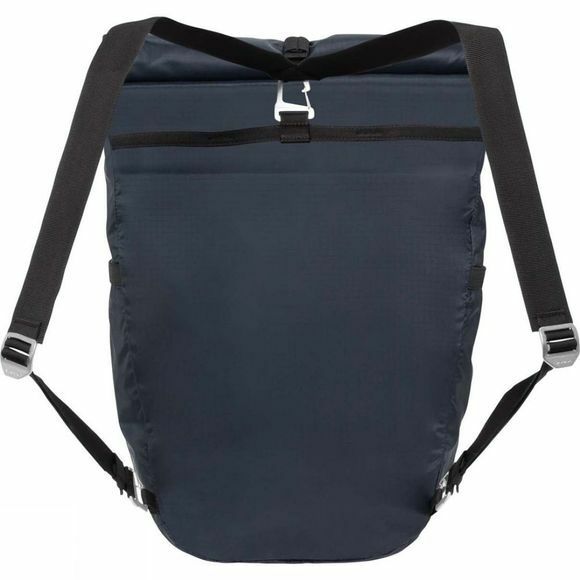 When you're ready for a change, just pull the pack inside out and change the shoulder straps. Thanks to a simple roll closure the lid is height adjustable. The spacious 22-liter main compartment with an easy access zip compartment for smaller items like keys, wallet and a phone ensures good organization, while the transformability of Tobel M ensures the right look. The VaudeGreen Shape label stands for environmentally friendly, functional products made from sustainable materials.